CIMHostel makes it easy for Nigerian university students to find housing that meets their budget and preferences. Accessing housing for students in Nigeria is challenging. Most students are unfamiliar with the areas surrounding their schools, and the associated costs and time needed to work with housing agents remain high. CIMHostel aims to launch a web platform that enables students to input their university and view all available housing offerings in the surrounding area. Currently, no comprehensive resource like CIMHostel exists in Nigeria. Students can search listings according to their desired preferences and budget. Website features such as informational videos, connecting with housing agents, and a booking system are also planned. 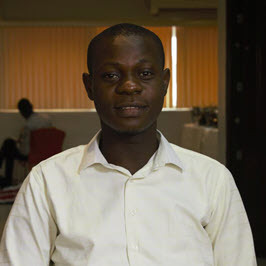 Ikechukwu’s own struggle to find housing while he was studying computer science at the University of Ilorin inspired him to launch CIMHostel. After paying a hefty fee to an agent and wasting time looking at countless unsuitable apartments, Ike determined that an online alternative could produce a better and cheaper experience for students like himself.